The City of Buena Park is relatively popular, the famed “Focal point” of the lustrous Southlands of California. The old but ever unyielding city is known for its business-friendly systems and the long streak of private and commercial ventures present within its borders. The fame of the commerce-enhancing climate of the small city is only rivaled by the universally recognized amusement park that promises the fun of a lifetime to its visitors. This structure holds lots of memories for residents of the area and lots of attractions for first timers because of its glamorous variety of game options and thrills. Through the years, Buena Park has maintained its quality of being the ideal location for recreation and business, serving a wide array of options for excitement and leisure. One other thing noteworthy about Buena Park is the many food outlets, restaurants, and special eateries. You will definitely be getting your money’s worth in meals, both local and foreign. As you would expect, there are lots of legal firms in this city meeting the legal needs of the persons here. You definitely won’t need to search so hard before a landing a competent Buena Park Attorney to help you out for whatever legal assistance you may need. One of the many areas where the Park residents seek out legal counsel is in the case of wrongful death. If a worker or a pedestrian loses their life as a result of the negligence of another, that’s enough reason to take the offenders to court. It is due to the sensitive and grave nature of such claims that the services of an experienced attorney are needed to help steer the case to victory. 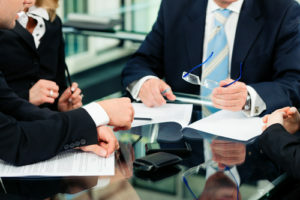 The legal experts at Rawa Law Group are the best minds in Buena Park that are able to bring you the desired outcome. With a track record of excellence that outshines all other legal firms in this county; we are your sure bet for a thorough legal representation. A series of personalized and intimately managed representation that actually pays attention to your story, your challenges, and shares in the passion of your expectation. A relentless fight for your good welfare on all legal fronts and matters with a genuinely inspired zeal for your compensation. An unhindered and unbridled access to your personal attorney, along with flexible consultation sessions fixed according to your convenience. A legally-sound representation that is ethical, yet thorough and decisive. An opportunity to be represented by some of the best names in California’s legal sphere, ably qualified and having a combined experience level of over 55 years. A representation that keeps you in the loop and carries you along on developments and serves you with a flawless legal service. Our attorneys are top-of-the-line attorneys, trained and experienced in all the subjects that border around landing a successful case. They have played key roles in the lives of claimants in the area for the past two decades, helping them gain financial support, attention and some measure of closure for the horrors they have had to go through. We are a firm inspired by our sincere interest in how persons who have lost their close friends and family wrongfully fare after the incident; we seek to help them get justice by bringing those responsible to book by the law. We will work tirelessly to ensure that your settlement is maximized and that you are duly considered in the most favorable way in court. We are confident of our methods because we have served many claimants, much like yourself, who has gone through a painful loss – we’re here to help! This is our little way of showing to clients our real interests. We do not seek to get into your wallets without first of all educating you completely about your case and your odds in court, then also, we go on to represent you without collecting a dime from you until we bring you victory. Our free consultation sessions are open to all who seek to file in a claim for wrongful death and more. Our trained Buena Park attorneys are available to walk you through the basics of your case and our representation. If you have doubts and just want to speak to an attorney to clear the air, you are welcome to do so. It is our pleasure to clear your mind of any uncertainties and doubts. Our experts will do just that for you. It’s noteworthy that when we take on your case, we do on contingency payment arrangement. This is one that guarantees that we only get paid when we bring in results. Our goal here is to take the pressure off our clients, to help them breathe and go for what they hope to achieve, to grant them the courage to fight for their rights and the rights of those they love without having to worry about the challenges of the payments involved. Many of our grateful clients in the past have seized this opportunity, to which they have applauded our professionalism and selflessness. We implore you to do same! Quality Representation you can trust! Buena Park plays host to over 200 registered legal firms, but no one does it better than Rawa Law Group. We make bold to say that our results are evidence enough and a single sit-down with any of our Wrongful death Attorneys will convince you. Do not gamble the outcome of your case by entrusting such precious to the hands of unprofessional or impassionate attorneys neither would offer you the quality of service you seek. We offer you this day, the convenience of our premium legal representation, the sincerity, and devotion of our advocacy, kindly place a TOLL-FREE call now to 1-844-444-1400 and let’s bring you justice!